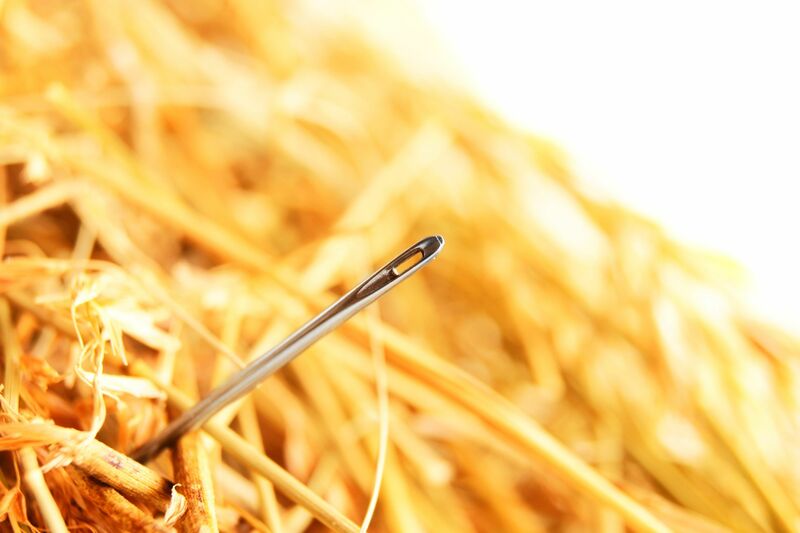 Finding the Prospecting Needle In the LinkedIn Haystack. "I use Linkedin as a surgical tool when I need to ferret out a very specific individual decision maker within an organization – the guy who holds the purse strings. Since their staff is well trained to keep annoying sales guys away, LinkedIn helps me find them." That is so true today. Everyone wants to keep you out! As you saw in my recent 2 Ways to Use LinkedIn Serach to Find Prospect Names video, the Advanced Search function is a great place to start your research. Here are 5 ways your colleagues use LinkedIn for prospecting. Hopefully it'll give you some fresh ideas you can use today! "I search for companies in the "people" field. This gives me a list of people who work or have worked in that company. I then narrow it by location and job description. Then, I also look where people have worked before they were at their current job. By doing this, I’ve found many other companies (who are now my customers) that I didn’t even know existed before." "I search my competitors to see who they're hooking up with!" "We try to confirm the identity, title and location of every inbound lead via LinkedIn. We provide profile links with the assignment of leads. This gives our reps fewer reasons to not do proper prospect research and/or connect with them via LinkedIn. Also, by connecting to industry specific groups ... we have access to a larger audience of searchable contacts. Additionally, with the advent if the new "endorsement" feature, we can see the names of people likely connected to a prospect that we're currently not connected to. Plus, the number of endorsements and titles of the endorsers often gives us an indication of how immersed the prospect is in our industry." "I've followed and encourage my staff to follow the new contacts and recent LinkedIn activities of our customers and prospects. This helps us uncover uncover possible opportunities. This past year ... we uncovered several relatively large projects they were getting ready to undertake by noticing they were connecting with vendors and consultants who offered services that were a good fit for our products. We engaged the prospect early in their process and were able to get there ahead of our competition. And since we became a planning asset to the customer, we were able to generate new business." "The territory I'm serving has been neglected for a long time. 25 - 30% of our customers and prospects have changed jobs. I have two choices with my time. Call and or email to find out they are no longer with the company or check LinkedIn for their current status and connect with them there. The first option leaves no possibility for future interactions. The 2nd option, using the same amount of time, renews the relationship while it qualifies their interest in further discussions. Plus, I can find elements of their background to include in our conversations as we move forward, further building a relationship of trust and friendship. That's key for our big ticket items and longer sales cycle." Getting some more prospecting ideas? Great, because that's what LinkedIn can really do for you. Dig in and uncover its power.